Saw this young man soliciting funds at Jurong West Blk 504 Coffeeshop last nite! 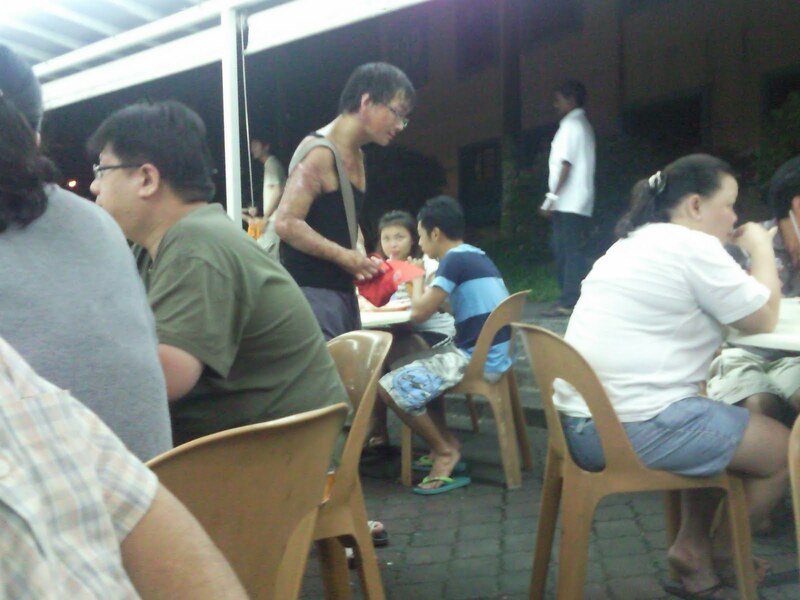 His condition looked quite bad based on his wrinkled skin condition. 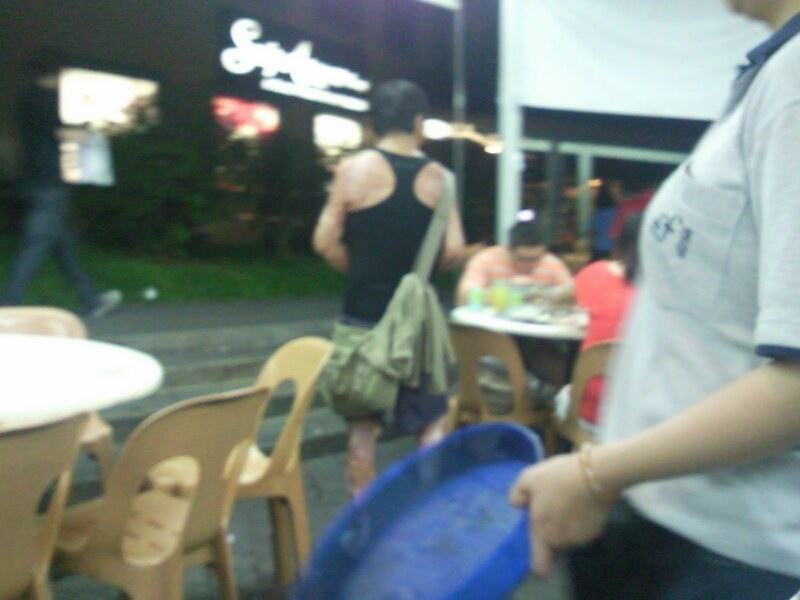 He is a bit started n nervous when i pointed my Samsung Omnia II camera phone at him. Hope he's all right. 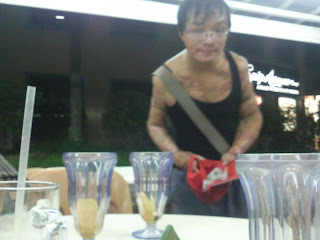 I jus wanna to put up his pics and highlight his condition in this blog here. I wonder what sort of skin problems he has and if anyone can help him?